In the end the floorplanner website did turn out to be very useful. 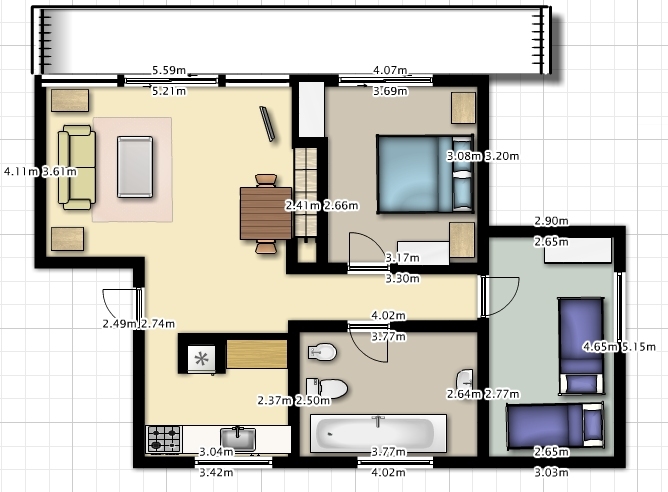 I was able to quickly make a nice layout of our apartment. The measurements are all off, but the result looks very much like the setup we have at home.